Just as Jobs to Be Done changes the way we think about needs ("tasks to be done") and purchases ("orders"), so it also changes the way we think about markets. For decades we have been taught to define our potential customers as target groups and to divide markets into as uniform segments as is possible in order to react to them easily. Markets were divided into segments divided according to demographic, socioeconomic, psychological and other criteria; the finer the better. At the user level, personas have been popular since the mid-1990s. These models, designed to represent the average prototypical user with various characteristics, were intended to generate empathy and be used as the basis for our product development. There is only one problem with this approach: no matter how much effort we put into segmenting or describing the persona - nothing really tells us why customers choose certain products. "My name is Clayton Christensen and I am 64 years old. I'm 2.03 meters tall, my shoe size is 51, and my wife and I sent all our kids to college. I live in a suburb of Boston and drive a Honda minivan to work. I have many other qualities and characteristics, but these have not prompted me to leave the house today and buy the New York Times. There may be a correlation between some of these characteristics and the propensity of customers to buy the Times. But these characteristics do not cause me to buy this newspaper - or any other product." "A thorough understanding of Jobs reveals new paths of growth and innovation as they focus on clearly defined, 'job-based' segments - including the 'non-consumers' for whom there is currently no acceptable solution. This group decides not to order anything rather than something that does the Job badly. Non-consumption has the potential to present a fantastic opportunity." Non-consumers may even represent the greatest potential for solutions. This potential is used by companies that create disruptive innovations and make new products, services and approaches available for customers, and thus upend the market served by traditional solutions. The following example illustrates the presence non-consumers in the market from the perspective of the provider of a content management system (CMS): Common CMS solutions target companies and administrations with their products. However, it seems that CMS software developers give little thought to potential customers in private households (non-consumers). However, the increasing number of documents, photos, videos, audio files and other digital artifacts (called "data assets" for the sake of simplicity), as well as the increasing number of devices used in private environments, makes finding, managing and accessing data increasingly complicated. While companies have been comfortably using their CMS solutions for a long time, there is still no acceptable solution for private customers. Private customers, as non-consumers of CMS solutions, have not yet been discovered or addressed by CMS developers. Segmentation is useful if it focuses or limits the company's activities in a meaningful way, but at the same time lets you look for and notice new "markets". Segmentation by "jobs" seems to be a particularly useful alternative here. If we stick to our example of data management in private households, we would define the task to be performed as follows: "Organize private data according to your own criteria in such a way that you can view it from anywhere, at any time, and no longer have to endlessly search for data, leaving more time for more important things. Plus you will have the feeling that you have data assets". This "overview level" of the task to be completed is of course very high, but it will serve as an incentive to complete this task for the customer in such a way that it makes a difference in their life. Is this job very different from the job organizations have? I don't think so. However, according to the classical segmentation approach, this segment would probably never be addressed. The same applies to emotional or social jobs (such as experiencing recognition by others) that would be ignored by traditional segmentation. Classical segmentation models and personas do not answer the question why people act the way they do, and why they order products; they are therefore not the best foundation on which to develop products. By contrast, segmentation by customer Jobs and addressing those with products tailored to help them complete those jobs gives you enormous new opportunities. These segments help customers do specific tasks make progress in their lives. In the next blog post, I'll look at how we find out who we're actually competing with. 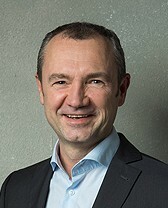 Eckhart Böhme worked for more than 18 years for an American software company and managed the training program for marketing staff at the corporate headquarters for many years. He is a trainer, speaker and author covering business models and development, lean startups and the Jobs to be Done concept. He was a technical consultant on the German translations of Clayton Christensen's latest book, Besser als Zufall (English version has yet to be released), and Eric Ries, The Startup Way, as well as the translator for Jonathan Briggs' Jobs to Be Done customer interview cards.